I get asked this a lot — What is “superfood”? This nutritional buzzword gets thrown around a lot in the food scene and almost everything is labelled a “superfood” these days. At best, it’s a nutrient powerhouse. At worst, the labelling is superfluous, overhyped by marketing ingenuity. In fact, the EU has banned the use of the term on food labels unless manufacturers can prove their health claims. To date, there is still no scientific or formally agreed-upon definition, but we can generally take “superfood” to refer to nutritionally dense food. My main gripe with this term is that very often, people take that as a passport to consume junk food just because they have included portions of “superfood” in their everyday diet. Even more dangerously, the health claims of certains foods are exaggerated and so bloated by unethical marketing gimmicks that we fail to see the fillers, the preservatives, the flavour enhancers — the nasties in the “goodies”! 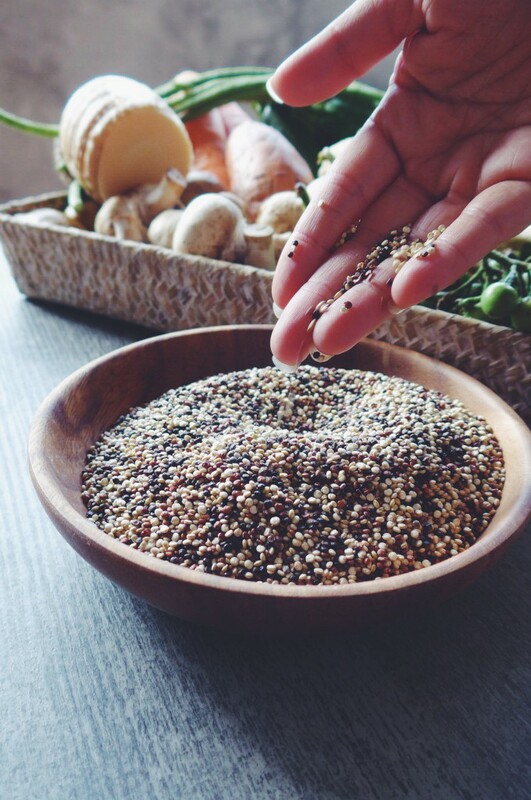 Quinoa – superfood or not? We think it’s certainly nutritious but there really isn’t magic in a single food. We pair this with other nutrient powerhouses for a well-balanced meal! So I have dedicated this month’s SouperChef Specials to SouperFoods, my humble but hopefully helpful way to bring to attention the need to be informed and discerning in our choice of foods! The bottomline is that there is no magic in a single food. In other words, there is no perfect food. Our bodies need a variety of nutrients and to keep healthy eating a sustainable lifestyle, we should consume a good mix of whole foods, as natural and unprocessed as possible. 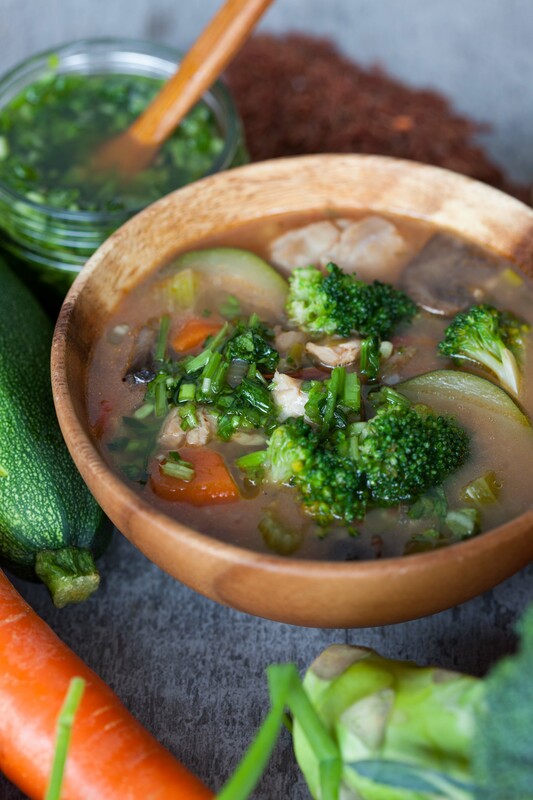 The magic truly happens when there is a variety of souper nutrients wholesomely and responsibly prepared. 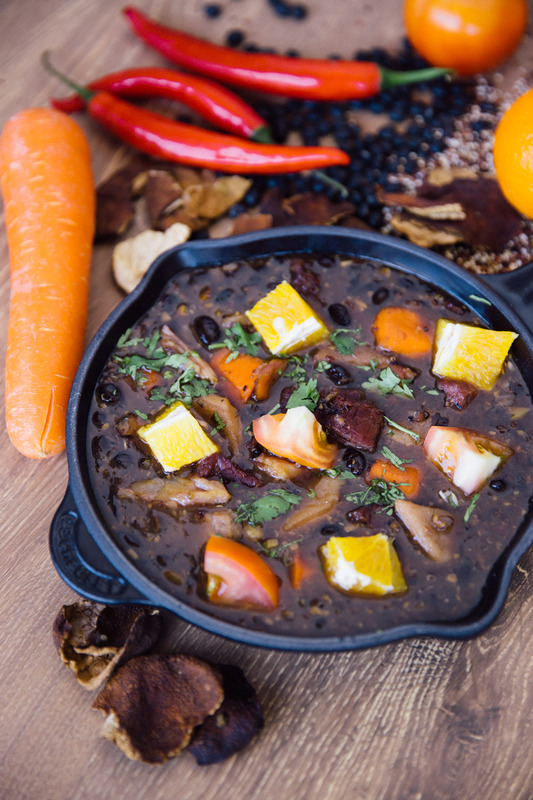 Each of our SouperChef Specials this month features a souperfood ingredient that stands up to nutritional scrutiny, but they are by no means the only attributes of our soups. In fact, you’ll find our other specially chosen ingredients just as impressively nutritious and flavourful! Bringing everything into the mix makes for balanced eating and this should be what superfoods are used for — in moderation, in harmony, in line with your needs. From the world to our kitchen to you, may we be wisely skeptical and eat souper with our Souperfoods this April!